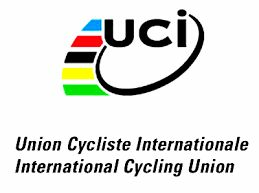 The milestone achievement comes as a result of the Territory’s recent acceptance as an affiliate member, of the Union Cycliste Internationale (UCI). BVICF’s President, Mr Darel Christopher, has since been invited by UCI President, Mr David Lappartient, to attend the 187th UCI Congress, to be held in Innsbruck, Austria—to receive the official Certificate of affiliation to UCI. Meanwhile Virgin Islands’ star cyclist, Darel Christopher Jr, will be competing again on the world stage, at the UCI Road World Championship 2018, to also be held in Innsbruck, Austria, to be run between September 22, 2018 and September 30, 2018. Darel Jr will compete in the men’s elite Individual Time Trials on September 26, 2018, covering a distance of 52.5 km. I agree!! Super awesome.They can be at Innsbruck, Austria together later this month.